The Mona Lisa is a work of art in its own right — one reason being Da Vinci's use of sfumato, a technique of blending light and shade. But we find the portrait fascinating for the history and controversy that surrounds it. Take the mystery of the second Mona Lisa, known as the Isleworth Mona Lisa. In 1913, a painting rumored to be an earlier Mona Lisa was acquired by an art collector, Hugh Blaker. After restoration by Blaker in his Isleworth, London studio, the portrait, now dubbed the Isleworth Mona Lisa, was sent to Boston Museum of Fine Arts for safekeeping during World War I. Thought to depict a decade younger Lisa Gherardini, one theory is that the Isleworth was painted for Gherardini's husband and the Louvre for Da Vinci's patron, Giuliano de Medici. The Mona Lisa Foundation was founded in 2012 to investigate the origins of the Isleworth. 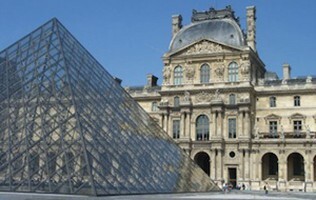 Their research is documented in detail at monalisa.org, including a timeline of the Isleworth Mona Lisa and side-by-side comparison of the Isleworth and Louvre Mona Lisas. It is worth noting that the foundation was established by the painting's current owner, before a worldwide tour of the Isleworth in 2013. Their findings were subsequently published in the 2013 book, Mona Lisa: Leonardo's Earlier Version.